original entity. Brahman is the consciousness that enfolds the physical universe, spitting out supernovas and destroying them with all their attendant life forms. We are told Brahman is the creator, the maintainer, and the destroyer. Brahman is that consciousness that feeds and depends on physical matter, creating and devouring it at will, as humans breed then slaughter animals on a farm for food. When meditators have cosmic visions of themselves as all the universe, this is the consciousness they identify with. By uniting with and surrendering to it as their Higher Self, they become possessed by the entities who have taken charge of (and perhaps created) the physical universe. I remember a chilling moment in a videotape of the popular spiritual teacher, Eckhart Tolle, where he describes the movement of the ‘Presence’ in the world. He reaches out a long arm and makes a swooshing sound with his mouth, drawing the arm back in. Then he makes a swipe in the air with his other arm, then the first one again. That’s Consciousness, he tells us, creating then sucking back in life form after life form. That is what Tolle has aligned himself with, the Presence that creates and destroys individual life. A loving and unlimited creator of individual awareness would not create life forms only to destroy them. That is the act of a farmer, not of an artist or innovator. Creative people don’t make things in order to feed off their creations. They make things to express what’s inside them: the joy or beauty or humor or wisdom. We know this from our own life experience. Happy people create good things around them, and cherish and take care of those things. They don’t decide to blow them up or devour them. If we as humans naturally behave like that, how could the Infinite Being from whose cloth we were cut think and behave like a savage? How could It be unfeeling or uncaring, when we by nature are feeling and caring? How could the children be greater in character than their own Creator? It’s not a very reasonable premise. It cannot be God, in the sense of a supreme consciousness, that requires sacrifice, worship, surrender of ego and ultimate physical death. That can only be the agenda of limited spiritual beings, who see the manifest universe as their playground. They are the playground bullies. They’ve convinced everyone that they by rights run the show and that they even created it. I remember Tolle’s story of his ‘awakening’. After suffering for years from severe depression, he decided he would commit suicide, at which point he felt an energy vortex sucking him in and heard the words ‘Resist nothing’. He blacked out and when he awoke, the world was fresh and new. He was a man without depression, without desires, without thoughts. He was a clean machine, devoid of his former sense of personal self. From that day on, he has moved through physical reality without an ego. ‘Life’ moves through him, he says, and he identities that ‘wholeness’ as his Self. not for recreational purposes and often touted as a cure for cancer, these highly concentrated oils are also known as a full plant extract or FPE oil and far exceed the limits outlined by the medical regulations currently in force. The Rhythm of Nature There is a way to mentally fast as well. This is what the basics of modern-day camping is all about. Instead of simply being a way to survive in the wilderness, today’s campers do so to get away from the hustle and bustle of the populated areas. They disconnect from their electronics, at least partially, and open their senses to the continuous and rhythmic sounds, sights, sensations and smells of nature. This opens up their mind to communication with Earth and the individual living components that exist therein and this changes the composition of the human who is composed of experience and sensation to once again becoming part of Earth and the larger system. Continuous Bombardment When we are working in a populated area or researching online we are entirely saturated with the subliminal belief system projections, the continuous advertising and expression of repetitive and materialistic ideals of others and corporations. This is like becoming part of the machine. When the mind is constantly ready to accept this information eventually the mind begins to continually search for that next bit of information. This is like a hungry animal that is used to eating a hefty meal that contains little to no beneficial value but tastes very good. Eventually people realize the taste is nothing compared to a healthy meal. Each time we scroll an image feed or a video feed and look for the latest new videos or announcements we are feeding that portion of the brain which has grown through social engagement to feel fulfilled and complacent as long a we are connected to society in a meaningful way. This is literally tickling that part of the limbic system of the brain where we receive emotional responses for performing or failing to meet some requirement. False Enlightenment This is, however, not the real thing. This can be used to attain a real level of satisfaction however the results will not always prove to enable a greater level of communication and awareness of society or more importantly the self. If one attains the knowledge of their self while alone and in nature, then how much have they truly connected to society in order to do so? Have they not entirely disconnected from society in order to find themselves the most directly? So when we are seeking that satisfaction by continually accepting a bombardment of information, even if we feel this is socially engaging in some way, we are actually increasing the mental and emotional distance between our conscious mind and the spiritual awareness that has no identity and no pathway leading inward. The conscious mind seeks stimulation, distraction, polarity and linearity to make things clear-cut, easy to access and understand. The identity-less spiritual awareness has no form and no shape so there is no true desired pathway or method in reaching it. There is No Path to Self Awareness Therein lies the trick, the true pathway towards reaching this awareness is by walking backwards away from the entanglements of the conscious mind. Instead of leading ourselves forward into some path or maneuver that will reach a destination, awareness is found by quelling the desire to continually search linearly as if this is something outside of the self. Since the awareness is inside the self, then the search is not a search, but a removal of the clutter of the conscious mind. This is merely a letting go, a looking within in a split second of the nullification of the temptation and desire to continually seek more information outward. That is the holographic structure of the brain that acts like a computer - and what is a computer doing without input? Nothing! So then what happens to the conscious mind without that continual stream of input? Nothing! So now that we’ve been so worked up with engaging in such a manner what are we so keen to do? To continue that input and feed a data stream into the conscious mind so as to feel as if we are doing something. We are not the conscious mind however! So how could feeding a portion of the self, which is meant to look outward into the world and determine opposites, help us become more secure and prosperous? wanting to know the truth such as a fearful event, or embarrassment about some ideals we feel we don’t live up to. All of that is illusion! It’s all inserted after the fact by external means and largely people who wish to profit off of the insecurity of others! Is it obvious now, how there is a complete business called ‘society’ based entirely upon bringing people out of the true spiritual awareness of the self, which requires no advertisement, no addons, no colorful images or data streams but simple words that acquire and emit a rhythm of information similar to what would find in the calm, cyclic experience of being in nature? That is the business of entraining human souls to focusing on anything but the human soul. Nature is You The experience of nature works, because nature is you, you are a part of nature. Being in nature is synonymous with being in you. Going within yourself in a state of peaceful meditation where all that you are focusing on has to do with what you are experiencing within is similar to going into nature and simply being aware of the continuous cycles of changes that occur around you. Ultimately these cycles make their way within you, just as those data-streams of images and videos do. The difference is that these images, sensations, sounds and smells have been around for as long as you have, however the images and videos of the Internet were just created yesterday. brutally and fiercely question any systems in place. 2.) Diminish them by focusing on the scared child within them: “You must see the frightened child within, terrified by anything unpredictable. In this way you cut them down to size, diminishing their ability to intimidate you.” ~Robert Greene Nobody is that far removed from the scared child they once were. Not you, not the queen, not the president, not your boss. We are all just a kid from somewhere propped up by a plethora of outdated myths and delusions that get us through the day. Whether those delusions are religious, political, nationalistic, or even delusions of grandeur, the only people who are ahead of the curve are the ones who are questioning their own delusions first, and then doubling down on their empowerment by questioning the delusions of others second. As Scott Adams wisely stated, “The human mind is a delusion generator, not a window to truth. The best any human can do is to pick a delusion that helps him get through the day.” It is vital, as a courageous and audacious table-turner, that you keep the delusion-generating human condition in perspective by having a deep understanding of how much fear drives human action and opinion. By realizing that those in power are just fearful kids beneath layers of “adulthood” and “authority” given to them by other fearful kids beneath layers of “adulthood,” you will have the advantage of a keen bird’s eye view, outside the box thinking, and an outside-looking-in perspective. You stay ahead of the curve by realizing that we are all on the curve. No exceptions. has been hated; for philosophy offers an asylum to a man into which no tyranny can force its way, the inward cave, the labyrinth of the heart.” ~Nietzsche Don’t allow the powerful to play on your emotions. Break the spell. Turn the tables on their power by focusing on strategies of openmindedness and emotional alchemy. Focus on their actions—past, present and future. Are they a decent human being? Is their moral compass off kilter? Do they have a history of shady deals and amoral oneupmanship? Honor your emotions. Respect the information your emotions are giving you. But then rise above your emotions by focusing on healthy action. The first step to turning the tables on power is to turn the tables on your emotions. Transform kneejerk reactions to the whims of those in power by deeply analyzing why you feel the way you do and then act smartly. Feel fear, act with courage. Feel envy, act with emulation. Feel insecure, act with confidence. Feel vengefulness, act with forgiveness. Feel anger, channel it into fierce art. Alchemize it until you actualize it. Be proactive. Get out from underneath the puppeteer’s shadow by focusing your power on self-empowerment and selfimprovement, despite their power. power. On a long enough timeline, only the person who questions and forces moderation on all power (especially their own) will become more powerful. 5.) Make a mockery of their power through high humor and high art: “Make noise for the love of noise and questioning.” ~Stanley Moss Be strategically insurgent through unexpected angles of nonviolent attack. The best nonviolent attacks are found in high humor (social leveling mechanisms) and high art. There’s nothing those with too much power hate more than those with too little power questioning and checking their power. Especially if it’s done through satire, art with shock value, and strategic civil disobedience. Think of it as an updated way of counting coup. In healthy cultures, namely indigenous cultures, there is the vital role of the sacred clown. For example: the heyoka is a kind of sacred clown in the culture of the Lakota of the Great Plains of North America. Heyokas are contrarians, jesters, and satirists, who speak, move and react in an opposite fashion to the people around them. The main function of a sacred clown is to deflate the ego of power by reminding those in power of their own fallibility, while also reminding those who are not in power that power has the potential to corrupt if not checked and balanced by other forces—namely with humor. Sacred clowns are constant reminders of the contingency and arbitrariness of the social order, poking holes in anything taken too seriously, especially anything assuming the guise of power. They are a conduit to forces that defy comprehension, and by their absurd, backwards behavior, they are merely showing the ironic, mysterious dualities that exist within the universe itself. As a courageous table-turner, it is vital that you assume the role of the sacred clown and poke holes in the inflated and obese power constructs entrenching themselves inside our “tribe.” The system cannot be fixed by the system. It can only be fixed by empowered and courageous individuals with the audacity to check entrenched and overreaching power constructs. No other force can do this for us. It is up to us. It’s your life. It’s your culture. It’s your world. Don’t let it be destroyed by the corrupt power of others. Keep the powerful in check by becoming a relentless force that questions any and all systems that would ever allow power to corrupt. dock or lock plant can counter the acid in the sting. Purslane - Like many of the medicinal weeds in this list, purslane (Portulaca oleracea) also makes a healthy snack. The plant contains a high content of omega-3 fatty acids. I ate some that grew in my yard and found it was somewhat sour. A little bit was good, but too much would be overpowering in a salad. In traditional Chinese medicine, purslane treats genitourinary tract infections. Research published in Phytomedicine found that the plant reduced problems with cognition in older mice. Plantain - Since the age of the ancient Greek doctors have used plantains (Plantago sp., the weed in sidewalk cracks, not the fruit) to speed wound healing. In the training manual Survival, Evasion and Recovery, the U.S. Department of Defense recommends plantain as a poultice on wounds or as a nutrient-rich tea to treat diarrhea. Burdock - Traditionally, healers use burdock (Arctium sp.) to clear toxins from the blood and increase urination, according to the University of Maryland Medical Center. The plant also is used to treat skin ailments, such as eczema, acne and psoriasis. The leaves and roots of burdock are edible and contains inulin, like chicory, so they may aid digestion and/or cause a nasty case of flatulence. Burdock also contains high quantities of antioxidants that can prevent damage to cells. So there you have it! Try looking in your own backyard to see if any of these wild medicinal weeds are at your disposal! HERE ARE NO shortage of options to rejuvenate your body in the world of plants. Whether it is a vegetable, fruit, herb, seed, nut, or superfood, there are solutions to help you rejuvenate your body and increase your uptake of precious enzymes, vitamins, minerals, fiber, and other life supporting nutrients. Getting a good dose of plants in on a daily basis can be a struggle for some people, due to busy schedules and resistance to overhauling habits. If this is the case for you, there are always great options to get the most powerful plant based foods into a simple, single meal with little time invested. You will learn how to do that below, with these four plants leading the way. Four Plant-Based Options to Help Rejuvenate Your Entire Body n Excellent source of omega 3 and omega 6 fatty acids. Good source of vitamins A, B, E, and D n High in manganese, phosphorus, iron, and calcium n 3x more antioxidants than an equal serving of blueberries Due to this synergistic combination of nutrients, chia has been shown to support healthy blood sugar levels, digestion, cardiovascular health, energy and endurance, and weight loss goals when accompanied by a healthy diet and regular exercise. Hemp One of the most nutritious parts of the cannabis plant is the seeds. These precious little gems contain negligible amounts of THC, and as such will not create psychoactive reactions due to minuscule amounts. However, due to their incredible nutritional profile they are a boon to anyone looking to improve their health. When you consume hemps seeds, you can expect to get the following: n 20 amino acids, including 8 essential amino acids your body can’t produce n Essential fatty acids (EFAs) n Optimal ratio of omega-3s to omega-6s (1:3) n Gamma-linolenic acid n Antioxidants, plant sterols, and phytonutrients n Vitamin E n Manganese, magnesium, phosphorus, calcium, iron, and zinc n Dietary fiber Thanks to this potent combination of nutrients, hemp seeds have been shown to support a healthy immune system, cardiovascular system, brain function, skin health, and digestive health. “This very weak oil that is being sold doesn’t help medical marijuana users. The government is talking tough with inspectors. We are prepared to fight for patients.” As a result of legalization, Smith says other sources have dried up and many patients have returned to his compassion club. “We’re hoping that we are going to be able to amend those regulations so we can transition to the legal system without compromising patients health. Their rights haven’t changed,” says Smith. “We have been through this is as a group before and we will do what it takes to make things right. They need to change the dosage levels.” While the industry grows at a frenzied pace and Bill C-45 is on the verge of being amended to include edibles and extracts, Smith says—now is the time to remind the government of the Supreme Court decision that led to legalization. “It seems like there is still this fear of cannabis. It’s as if health officials don’t realize there is this opioid crisis that’s occurring. On one hand, people are abusing these dangerous narcotics in order to numb the pain. And here we have this very safe plant-based medicine and the government is making it legal—but only the bare minimum—and patients are being denied.” Smith says, “They are restricting this plant so much it’s potential is being limited.” It may be legal to light up but now more than ever it’s crucial to continue the fight for full, unfettered access to the healing and medicinal qualities of this ancient plant. gamma linolenic acid (GLA) Chlorella helps support healthy digestion, immunity, energy production, joint health, and heart health. Medicinal Mushrooms Not quite mainstream, medicinal mushrooms are some of the greatest gifts from nature that haven’t been fully discovered. Don’t confuse these with your typical culinary mushrooms, as many medicinal mushrooms are hard and woody, and don’t have a practical food application. However, that doesn’t have to stop you from getting them into your diet in a simple way to introduce the multitude of benefits. Some of their nutritional assets include: n Rich in potassium, niacin, calcium, selenium, magnesium, copper, and phosphorus n Good source of B-vitamins n Very high in antioxidants n Excellent source of beta-glucans, polysaccharides, and triterpenes The key behind medicinal mushrooms (reishi, chaga, cordyceps, etc.) is their adaptogenic behavior, which is incredibly beneficial for various areas of the body. They are known to support a healthy immune system (under-active or overactive), liver function, cardiovascular system, digestion, and adrenal function. All of these sources (when not contaminated) are very alkaline in nature and nutritious, and can provide exceptional support for rejuvenation of the body. For more information on superfoods, visit Superfoods.news. You can get each of these individually and look to work them into smoothies and other beverages, or you can get them all in one convenient powder for ease of use. A very popular source of these four plant-based foods is the Health Ranger’s Organic Hemp Juvenate, which combines the finest of these four ingredients, and are all lab-verified to be low in heavy metals. Feel free to get some here, before the supply runs out! Enjoy! In your brain, serotonin signals and produces a state of wellbeing. In your gut — where 95 percent of your serotonin is produced — it sets the pace for digestive transit and acts as an immune system regulator. Interestingly, gut serotonin not only acts on the digestive tract but is also released into your bloodstream, and acts on your brain, particularly your hypothalamus, which is involved in the regulation of emotions. While we’ve known that the gut and brain communicate via the vagus nerve, researchers have only recently come to realize that gut serotonin regulates emotions in a much more complex way than previously thought. Not only can your emotions influence your gut, but the reverse is also true. The human gut has 200 million neurons — the equivalent of a cat’s or dog’s brain. And, if an animal is considered intelligent, your gut is equally smart. Your gut also houses nearly 100 trillion microorganisms, which influence everything from biological to emotional functioning. Your upper brain is home to your central nervous system while your gut houses the enteric nervous system. The two nervous systems, the central nervous system in your brain and the enteric nervous system in your gut, are in constant communication, connected as they are via the vagus nerve. Your vagal nerve is the 10th cranial nerve and the longest nerve in your body, extending through your neck into your abdomen. It has the widest distribution of both sensory and motor fibers. Your brain and gut also use the same neurotransmitters for communication, one of which is serotonin — a neurochemical associated with mood control. However, the message sent by serotonin changes based on the context of its environment. some researchers are using hypnosis to help ease IBS patients’ pain. While the brain is still receiving the same kind of pain signals from the gut, hypnosis can make your brain less sensitive to them. So, pain that was previously intolerable is now perceived as tolerable. The effectiveness of hypnosis has been confirmed using brain imaging, showing hypnosis in fact downregulates activation of pain centers in the brain. Similarly, Dr. Zhi-yun Bo, a doctor of traditional Chinese medicine who specializes in abdominal acupuncture, has been able to treat a wide variety of health conditions, both physical and mental, from acute pain to chronic illness and depression, by needling certain areas of the belly. ome have proposed probiotics may one day take the place of antidepressant drugs. influence your dreams. The striking similarities between the gut and brain, both structurally and functionally, have also led scientists to consider the possibility that the two organs may share diseases as well. For example, Parkinson’s disease, a degenerative neurological disease, may actually originate in the gut. Parkinson’s Disease — A Gut Disorder? Indeed, mounting research suggests we may have had the wrong idea about Parkinson’s all along. As mentioned by Liu, there’s other compelling evidence suggesting this disease may have its origins in the gut. Research published in 2016 actually found a functional link between specific gut bacteria and the onset of Parkinson’s disease. In short, specific chemicals produced by certain gut bacteria worsen the accumulation of proteins in the brain associated with the disease. What’s more, the actual proteins implicated in the disease actually appear to travel from the gut up to and into the brain. Once clumped together in the brain, these proteins, called alpha-synuclein, form fibers that damage the nerves in your brain, resulting in the telltale tremors and movement problems exhibited by Parkinson’s patients. In fact, the researchers believe alpha-synuclein producing gut bacteria not only regulate, but are actually required in order for Parkinson’s symptoms to occur. The link is so intriguing they suggest the best treatment strategy may be to address the gut rather than the brain using specific probiotics rather than drugs. In this study, synthetic alpha-synuclein was injected into the stomach and intestines of mice. After seven days, clumps of alphasynuclein were observed in the animals’ guts. Clumping peaked after 21 days. By then, clumps of alpha-synuclein were also observed in the vagus nerve, which connects the gut and brain. As noted by Science News: “Sixty days after the injections, alpha-synuclein had accumulated in the midbrain, a region packed with nerve cells that make the chemical messenger dopamine. These are the nerve cells that die in people with Parkinson’s, a progressive brain disorder that affects movement. After reaching the brain, alpha-synuclein spreads thanks in part to brain cells called astrocytes, a second study suggests. Experiments with cells in dishes showed that astrocytes can store up and spread alphasynuclein among cells …” Over time, as these clumps of alphasynuclein started migrating toward the brain, the animals began exhibiting movement problems resembling those in Parkinson’s patients. Findings such as these suggest that, at least in some patients, the disease may actually originate in the gut, and chronic constipation could be an important early warning sign. The same kinds of lesions found in Parkinson’s patients’ brains have also been found in their guts, leading to the idea that a simple biopsy of your intestinal wall may in fact be a good way to diagnose the disease. In other words, by looking at the intestinal tissue, scientists can get a pretty clear picture of what’s going on inside your brain. These findings are now steering researchers toward looking at the potential role the gut might play in other neurological diseases, such as Alzheimer’s and autism, as well as behavioral disorders. even though those signals never reach conscious awareness. energy of this EMF-remediating Structured Water also has the potential to make a beneficial change to the fields generated by EMF emitters. The unit is long-lasting, maintenancefree, and priced from $399. apanese people all have uncoupled haplotypes. Note that this man has lived 29 years in an environment where he became more coupled in his mitochondria. Note how his skin and his mood and dopamine levels reflect the change. Now I am going to teach you an extraordinary lesson about how this happens. 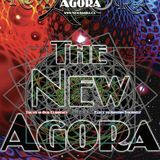 https://bit.ly/2UAS6B These & Many others @ Newagora.ca. TINY GLAND IN the center of the brain named the pineal may seem insignificant, but researchers have found it to be vital for physical, mental and, many believe, spiritual health. Through poor diet, exposure to toxins, stress and modern lifestyle choices, the pineal gland becomes hardened, calcified and shuts down. To awaken this gland from its slumber, detoxification is necessary using diet and herbs, sunlight and pure water. Enhance Spiritual, Mental And Physical Well-Being With A Pineal Gland Detox interpersonal relationships. Scientists suspect that N, N-dimethyltryptamine (DMT) is also produced by the pineal gland. This is the substance that gives shamanic botanicals like Psychotria viridis its hallucinatory kick. Dr. Rick Strassman, author of DMT: The Spirit Molecule, believes that the pineal gland produces DMT during mystical experiences as well as at birth and death. DMT is also associated with lucid dreaming, peak experiences, creativity and the ability to visualize. also offers a number of suggestions to help jump start the pineal gland. “Happy Tea” is one. A mixture of passion flower and St. John’s wort, the tea contains pi	noline — a monoamine oxidase inhibitor (MAOI). When MAOIs are freely circulating within the system, more naturally occurring DMT is available to the brain — encouraging creative and bright mental states. Another pineal revitalizing brew is ayahuasca. Small ‘tastes’ of this preparation (one tablespoon per day) will help to elevate mood, creativity and inspiration. Ayahuasca can be made by boiling Banisteriopsis caapi and Psychotria viridis (chakruna) with orange juice for a few hours. In large doses, it can substantially alter perception and trigger visions. In small amounts, it refreshes the mind. 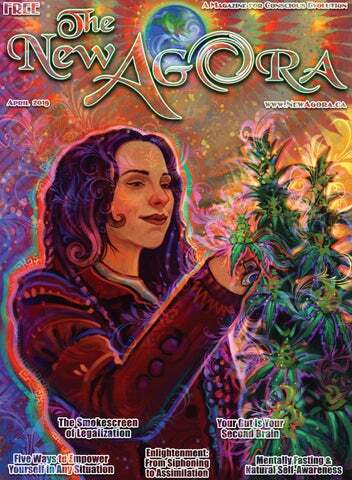 Please note: Extracting DMT from any plant, including Psychotria viridis, is illegal in the United States. ...Your Deepest Depths and Highest Heights... Raw, Real, Exposed, Vulnerable, and Love it - Love You! Substance-Free, Stimulus-Free, Judgement-Free, Stress-Free. Learn Skills and Information necessary to move into INTEGRITY & HARMONY with Yourself & Others. Work with Yourself First. 2019 Dis-entangle from Others, to Navigate with Love. solutions. Gone is the need to think and the sting of emotional repercussions from former bad decisions. The enlightened need to do nothing, say nothing, become nothing. But to achieve that iced-over state of detachment, that cosmic disassociation, they must sacrifice the most precious thing they have ever been given: their personal divine spark. The enlightened willfully self-implode. And God’s very purpose for making them, as a unique, personal expression of Itself, gets subverted. Surely we were meant to be more than automatons, possessed zombies, walking around the earth while something else moves through us. Surely God’s plan was not for Its creatures to become mindless robots, with glassy grins and empty hearts, who regard suffering and happiness, death and life, as all the same in value. Surely there is something beyond what the gurus’ teach as the ultimate. Something that celebrates, supports and cherishes each being It ever created, that desires them to live forever and in harmony and joy, as Itself. The gods have not stopped living off human sacrifice. The rules of the game have only changed a little. Blood-on-demand is not as delicious as the willing offering of a human soul. Siphoning is evolving into assimilation. This is the tyranny of One, the reason the New Age teaches that awakened consciousness means seeing ‘small self’ as illusion and ‘Cosmic Self’ or ‘the One’, as the true reality. The intent is to fuse all egos into the will of the One, the will of the Overmind. The gods are masquerading as Cosmic Self. We either open our minds and recognize our programming, and reason our way out of this snare, or we grin like foolish children and follow the Pied Piper right into the maw of the mountain. Will we choose to amalgamate or to shoulder the burden and joy of becoming conscious, empowered individuals? The fate of the universe rests on our decision. Bronte Baxter © Bronte Baxter 2008 Anyone may republish this article on another website as long as they include the copyright and a back link to this site. https://brontebaxter.wordpress. com/7-enlightenment-from-siphoningto-assimilation/ This is Chapter 7 in an online book: ‘Blowing the Whistle on Enlightenment: Confessions of a New Age Heretic,’ by Bronte Baxter. Re: VACCINE LEGISLATION Dear Legislator: My name is Tetyana Obukhanych. I hold a PhD in Immunology. I am writing this letter in the hope that it will correct several common misperceptions about vaccines in order to help you formulate a fair and balanced understanding that is supported by accepted vaccine theory and new scientific findings. Do unvaccinated children pose a higher threat to the public than the vaccinated? It is often stated that those who choose not to vaccinate their children for reasons of conscience endanger the rest of the public, and this is the rationale behind most of the legislation to end vaccine exemptions currently being considered by federal and state legislators countrywide. You should be aware that the nature of protection afforded by many modern vaccines – and that includes most of the vaccines recommended by the CDC for children – is not consistent with such a statement. I have outlined below the recommended vaccines that cannot prevent transmission of disease either because they are not designed to prevent the transmission of infection (rather, they are intended to prevent disease symptoms), or because they are for noncommunicable diseases. People who have not received the vaccines mentioned below pose no higher threat to the general public than those who have, implying that discrimination against non-immunized children in a public school setting may not be warranted. is attributed to the use of a different vaccine, OPV or oral poliovirus vaccine. Despite being capable of preventing wild poliovirus transmission, use of OPV was phased out long ago in the USA and replaced with IPV due to safety concerns. 2. Tetanus is not a contagious disease, but rather acquired from deep-puncture wounds contaminated with C. tetani spores. Vaccinating for tetanus (via the DTaP combination vaccine) cannot alter the safety of public spaces; it is intended to render personal protection only.